Jared the kleptomaniac, Chike the unemployed IT guy, Patricia the shopaholic, and Jeff the meth dealer are trapped inside a Chicago supermall on Black Friday. Bridgefield Mall empties during a fire alarm, and most of the shoppers drive off into a strange mist surrounding the mall parking lot. Chike and his group try calling friends and family, but their smart phones won’t work, not even Twitter. As the mist creeps closer, the mall lights flicker and surge. Bulbs shatter and spray glass into the air. Unsettling noises are heard from within the mist, as the meth dealer becomes unhinged and hunts the group within the mall. Cornered by the mist, and hunted from within, Chike and the survivors must fight for their lives while solving the mystery of what happened to Bridgefield Mall. Sometimes, a good sale just isn’t worth it. 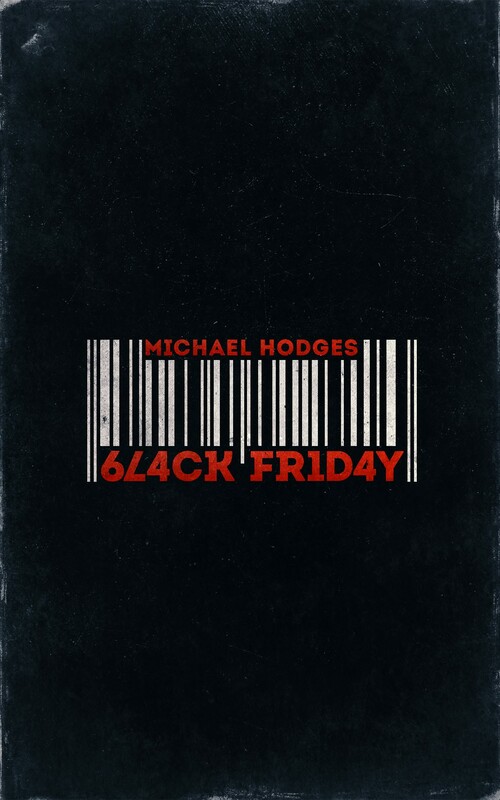 Reminiscent of shows like Lost and Under The Dome, author Michael Hodges stays true to the mysterious science fiction genre with his delightful new novel, Black Friday. His unorthodox social commentary focuses on consumerism, race relations, female sexuality and the overpowering need for constant technological connection. Although the narrative takes some time to get going, there’s no stopping it once it does. Poetic, simplistic and hauntingly perfect. The plot might seem muddled at first, but let it age like fine wine before you decide to bail. There is something remarkable about this book, and it’s not just Hodges’ writing style that gives it that edge. It’s not often that I connect with characters on a quasi-meta level, but Hodges’ dialogue and descriptive idiosyncrasies sent chills down my spine and made me actually listen to what the characters had to say. He is a masterful author who possesses the rare ability to allow the reader to forgive and forget the characters’ shortcomings. I am also an author, so I know what goes into creating a novel of this magnitude. Professionally, I am in awe of Michael Hodges, and personally, I must admit that I am a tad bit envious of his unfathomable talent. I know we’re only three months into 2017, but I can undoubtedly state that Black Friday is one of the best novels of the year. As a critic, I commend Hodges, and as a writer, I thank him for not adhering to the cookie-cutter genre tropes which befall so many other novels. Black Friday is the best damn thing since sliced bread and a definite must-read.